If leaders haven’t prepped their people before the meeting . . . the meeting shouldn’t happen. As a meeting participant if you haven’t come ready to contribute to the issues at hand . . . you shouldn’t participate. 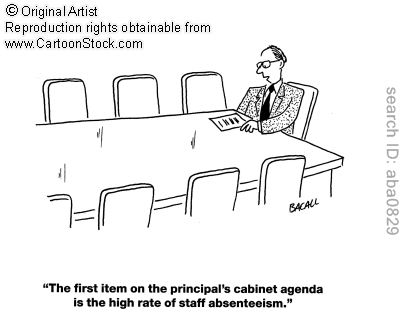 Ensuring that people prepare for meetings is critically important. Our culture had gotten to the place where we would often have a bit of an oral agenda that we’d run through at the start of the meeting and then we’d just dive in. The problem with that is that no-one comes ready to contribute in any significant manner. As a team leader there are a bunch of ways to prepare your people . . .
Talk to People – The “meeting before the meeting” is a healthy practice. (As opposed to the “meeting after the meeting” which is basically gossip.) Are there some people you need to connect with ahead of time so they are totally up to speed? Reading Material – Are there things that your team should be reading before they come to the meeting? Is there an email chain you need them read through so they are full caught up? As a meeting participant . . . you play an active role in prepping for the meeting as well. Some ways that you can prepare yourself for an upcoming meeting . . . Call the Leader – Ask them if there is any extra work that you can do to get ready for the meeting. Make sure you haven’t missed out on anything since the last conversation. Research – If the agenda is clearly outlined it will define the conflict that the meeting is attempting to address . . . take some time to do some research and figure out how other people have solved the same problem. Prayer – The work that we are engaged in is of cosmic importance. Take some time to pray through the issues that we are facing as an organization. The meeting shouldn’t happen if the people aren’t prepared. Cancel it . . . call it off . . . postpone it to a later time. What we are doing is too important to just circle around vaguely . . .we need to clearly prepare for each interaction! What if your church acted more like a church plant?